Zara North, former Queen of Tremontane, left her throne and her family behind to keep her secret: she cannot be killed, she barely ages, and her magic could topple the North family from the throne. As an exile in her own country, Zara finds love, sorrow, and new purpose as the years pass and the world changes around her. 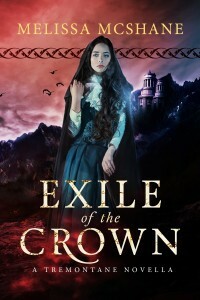 This novella contains four short stories, episodes in Zara’s life, and covers the time between the end of SERVANT OF THE CROWN and the beginning of the third Tremontane novel, AGENT OF THE CROWN.